Taylor and Sierra have been best friends for their whole lives. But Taylor’s fed up. Why does Sierra always get what – and who – she wants? From kissing Taylor’s crush to stealing the guy they both met online for herself, Sierra doesn’t seem to notice when she hurts her friends. So when Sierra says Jacob Jones is the one and asks her friends to cover for her while she goes to meet him for the first time, Taylor rolls her eyes. But Sierra doesn’t come back when she said she would. One day. Two days. Three . . .
What if Taylor’s worrying for nothing? What if Sierra’s just being Sierra, forgetting about everyone else to spend time with her new guy? When Taylor finally tells Sierra’s mum that her daughter is missing, Taylor and her friends are thrown into a dark world they never even knew existed. Can Taylor find Sierra’s abductor in time? Or should she be looking for a killer? As certain as Grace is about these facts, nobody else believes her — so there’s no one she can completely trust. Not her grandfather, a powerful ambassador. Not her new friends, who all live on Embassy Row. Not Alexei, the Russian boy next door, who is keeping his eye on Grace for reasons she neither likes nor understands. Everybody wants Grace to put on a pretty dress and a pretty smile, blocking out all her unpretty thoughts. But they can’t control Grace — no more than Grace can control what she knows or what she needs to do. Her past has come back to hunt her . . . and if she doesn’t stop it, Grace isn’t the only one who will get hurt. 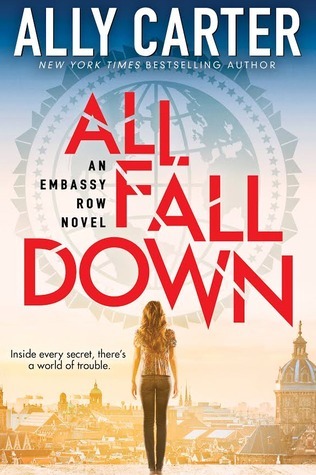 Because on Embassy Row, the countries of the world stand like dominoes, and one wrong move can make them all fall down. Being America’s favorite heiress is a dirty job, but someone’s gotta do it. Lexington Larrabee has never to work a day in her life. After all, she’s the heiress to the multi-billion-dollar Larrabee Media empire. And heiresses are not supposed to work. But then again, they’re not supposed to crash brand new Mercedes convertibles into convenience stores on Sunset Blvd either. Which is why, on Lexi’s eighteen birthday, her ever-absent, tycoon father decides to take a more proactive approach to her wayward life. Every week for the next year, she will have to take on a different low-wage job if she ever wants to receive her beloved trust fund. But if there’s anything worse than working as a maid, a dishwasher, and a fast-food restaurant employee, it’s dealing with Luke, the arrogant, albeit moderately attractive, college intern her father has assigned to keep tabs on her. What would you do to save someone you love? Time is slipping away. . . .
Tella Holloway is losing it. Her brother is sick, and when a dozen doctors can’t determine what’s wrong, her parents decide to move to the middle of nowhere for the fresh air. 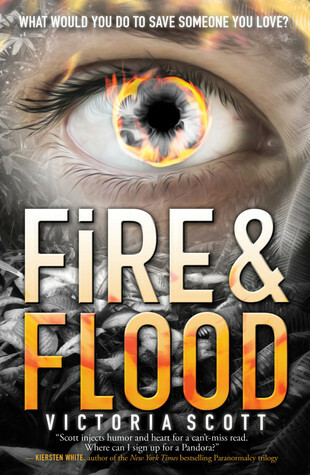 She’s lost her friends, her parents are driving her crazy, her brother is dying–and she’s helpless to change anything.